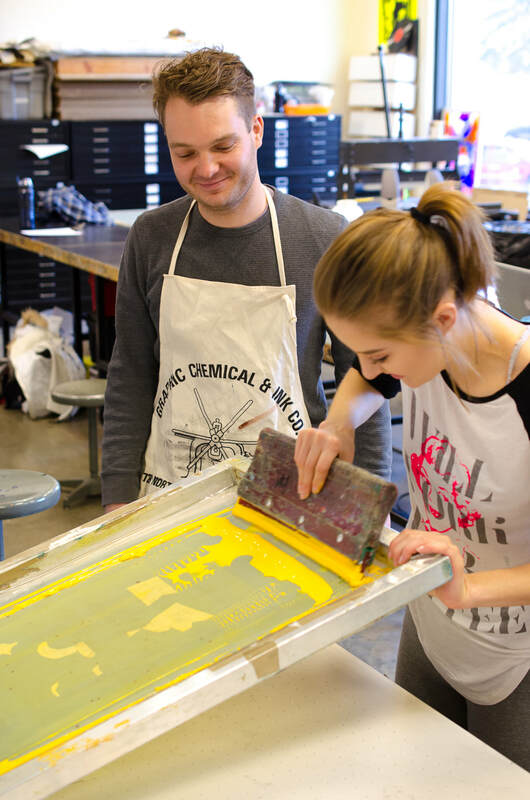 "It Was So Good To Be With You," screen print, 11" x 15"
Douglas Degges spent several days at Minot State contributing valuable conversation on contemporary art and making a screen print with Flat Tail Press. 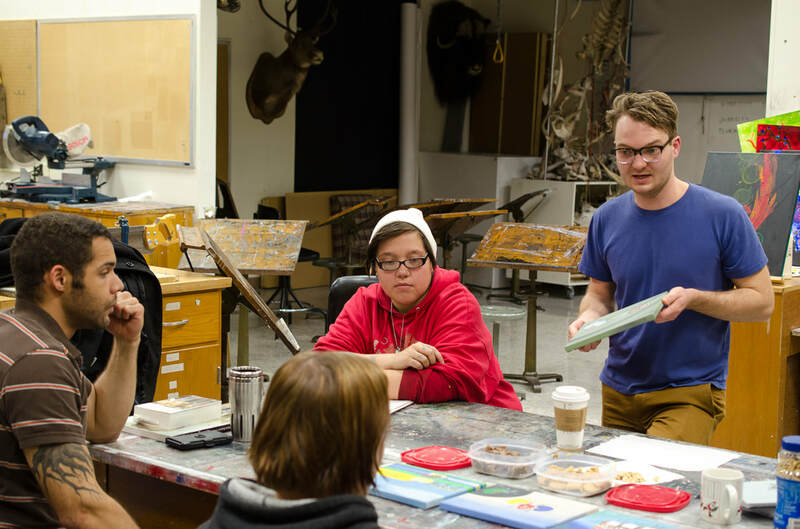 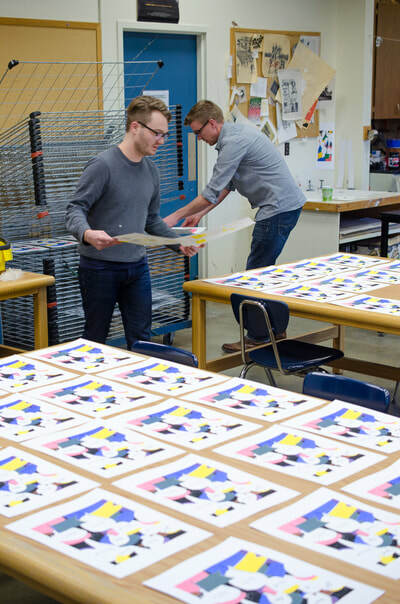 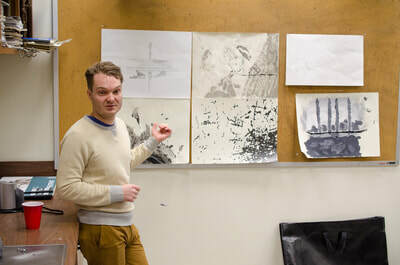 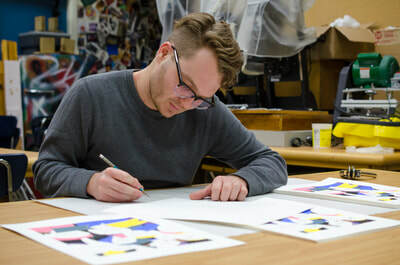 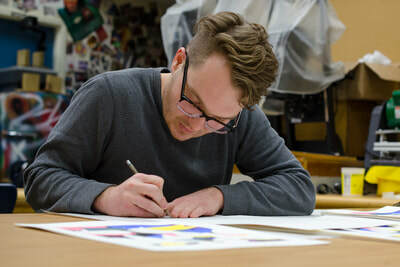 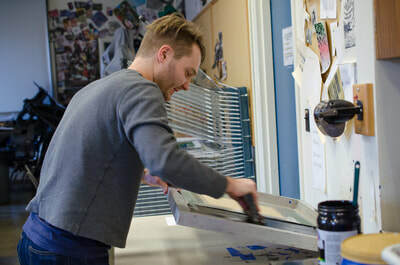 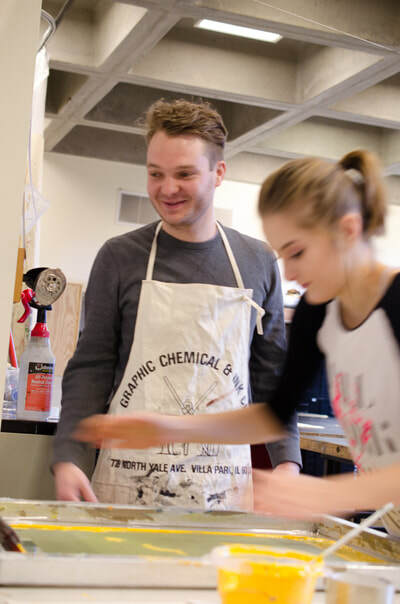 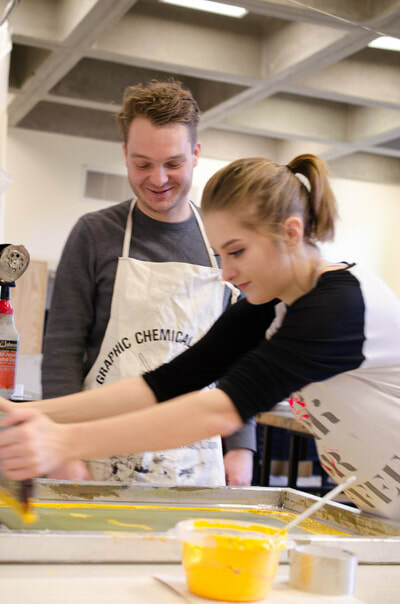 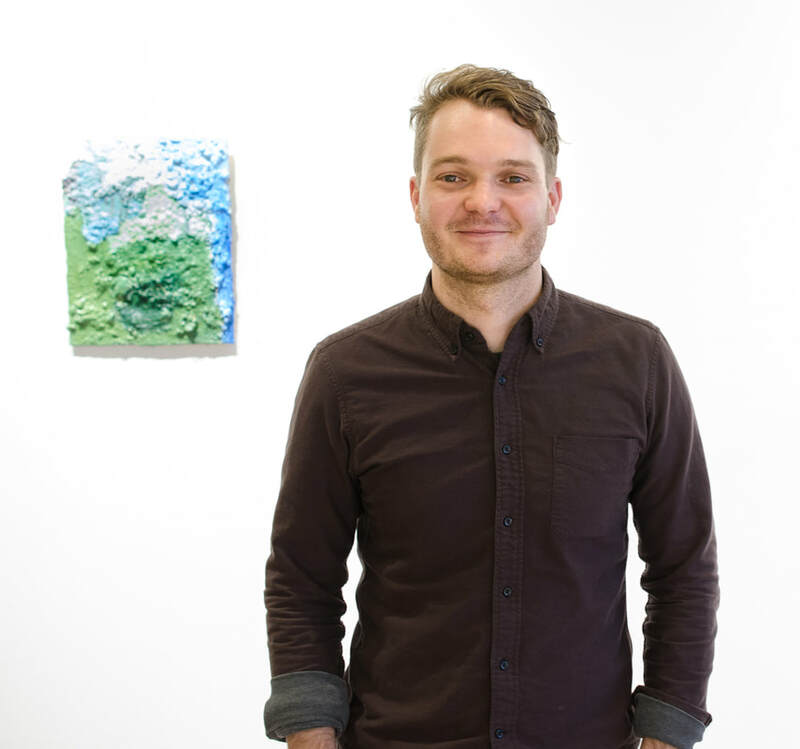 In addition to engaging with students in the drawing and painting classrooms, Degges assisted in the studio as the FTP team printed "It Was So Good To Be With You." 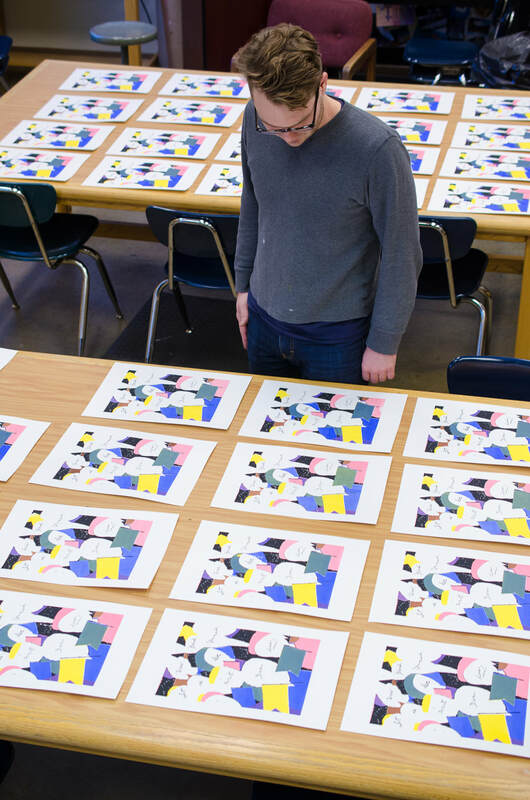 The imagery for the print was a merging of two of Degges' paintings: "Crowd painting" and "It was so good to be with you." 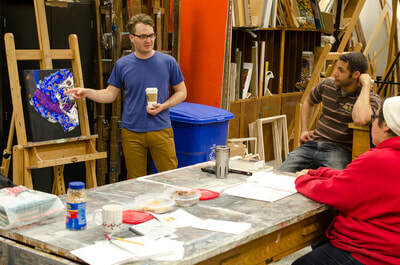 Degges' visit culminated in the opening of his painting exhibition "Props for Pictures" in the Flat Tail Press Gallery. View the exhibition here. 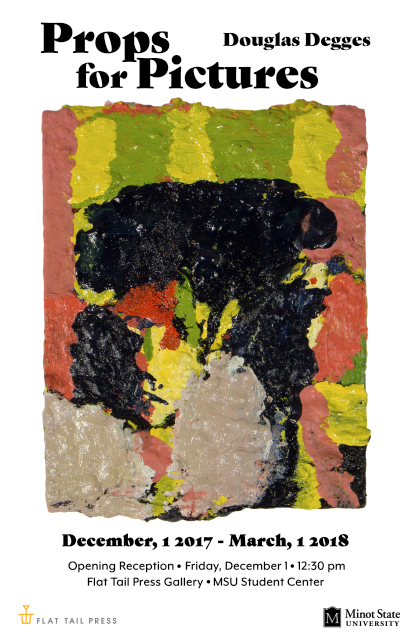 See more of Douglas Degges' work here.